In almost 10 years I don't think I ever told you about La Fête à Neu Neu (Neu Neu is short for Neuilly, a close suburban city close to the 16th arrondissement of Paris.) a small seasonal amusement park that has been taking place in Le Bois de Boulogne since 2008. In fact it's a sequel of a previous Fête à Neu Neu that used to be extremely popular between 1815 and 1935! 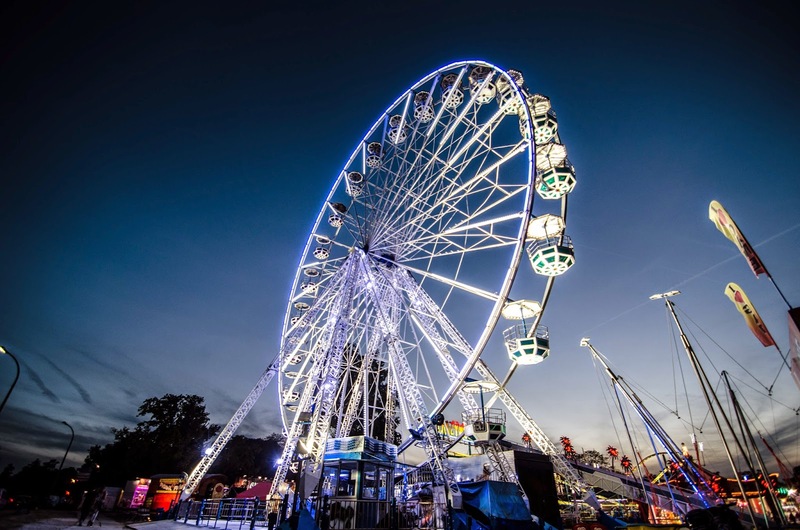 This year, the Cirque Franco Belge is performing and you can enjoy an beautiful view of the West of Paris from the Ferris wheel. Great photo! But when I think of Neuilly, this is definitely NOT what I picture (I guess I picture middle-aged people with lots of money). That is right Alexa...! And the word Neuneu does not fit well at all...! You've captured the wheel splendidly! That's a fantastic shot, Eric! Sometimes I only have to say that, like a tribute you must hear, even if you don't care that much. Send you smile smile smile. "In almost 10 years", this is in itself, quite a height ! ;))" LOL!
" even if you don't care that much. " Of course I care!